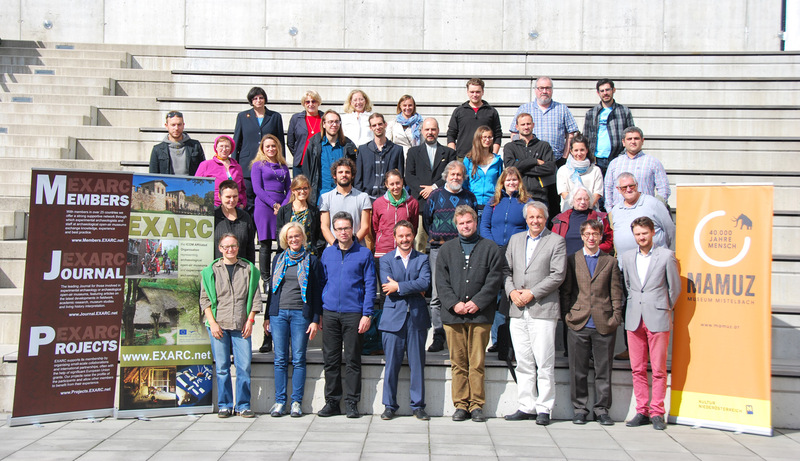 EXARC and Urgeschichtemuseum MAMUZ Schloss Asparn/Zaya joined their forces to organize an international conference from the 25th to 27th of September 2015, held in Mistelbach, near Vienna focused on Archaeological Reconstructions and Tourism. The meeting „Archaeological Reconstructions and Tourism“ showed how strategic cooperation between the two apparently opposed, but still closely related areas - archaeology and tourism, can develop into a scientifically, but also economically effective common work. On the other hand, there is an ever-present danger of showing a constructed ideal image of a historical epoch, which could be transmitted to the public.